Host and Professional Photographer Peggy Farren interviews photographer and workshop leader Wayne Bennett. Wayne gives us tips for getting the most out of every landscape photo shoot. Please scroll down for show notes. The show is now available as a podcast on iTunes!! Please do us a HUGE favor and leave us a rating and review! We are trying to reach more photography enthusiasts on iTunes. Your help makes a huge difference! Everglades 4 day Photo Adventure – January 31 – February 3, 2019 Only 2 openings left!! Check our Meetup site for more information. New Book! 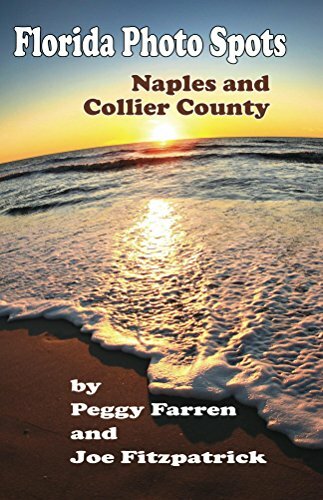 Peggy Farren and Joe Fitzpatrick have published a book highlighting Florida’s best photo spots! Understand Photography is a participant in the Amazon Services LLC Associates Program, an affiliate advertising program designed to provide a means for sites to earn advertising fees by advertising and linking to amazon.com. He was one of the original members of the Orlando Camera Club. He started teaching photography workshops with Great American Photography Weekends (GAPW) about 10-12 years ago. Wayne’s favorite workshop is in the Four Corners area (AZ, NM, UT, CO). He worked closely with Singh-Ray to create a special ND Polarizing filter with an additional diffuser layer – Wayne Bennett Smoky Vision Polarizer. Study and scout your locations in advance. – If you’ve been there before, think about the area and what you want to capture. – If the area is new to you – look on Google Earth, Google Images, or travel guidebooks (Wayne’s favorites are Lonely Planet and Fodor’s Travel Guides) – Check sunrise times and weather for that area. Walk an area to see what’s available to you from different angles and directions. Find your star performer (dominant piece in the scene) and it’s supporting cast.– Look at the spatial relationships between them. – Move to a different angle to change the spatial relationships between subjects. – Pick out several spots or angles within a 25-50 yard stretch to shoot the same subject within the short timeframe of the golden hour for larger variety. Try to anticipate light patterns created by the approaching sunrise. – If your light is coming from the left, it should LEAD to your subject on the right side of the frame.If both light AND subject are on the left side of the image, your eye will stop and dismiss anything on the right side. Compose images in camera from one or multiple locations. Zoom in to find the textures, patterns and colors that work well together. Try to make both the foreground and background emphasize the strengths of your subject. If any objects deter from the main subject, de-emphasize or get rid of them by changing your angle or depth of field. Play around with the crop tool both in camera and in post-processing. Prepare ahead of time.Think about the lay of the land, weather, and lighting before you go shoot. Don’t be afraid to break the rules.